Jones interiors are our most popular supplier of Ornate Poles and Elegant Trimmings, with an extensive range of high-end and every day Soft Furnishing and Workroom products they bring to our business a confidence in providing the level of quality we have come to expect when making home furnishings. 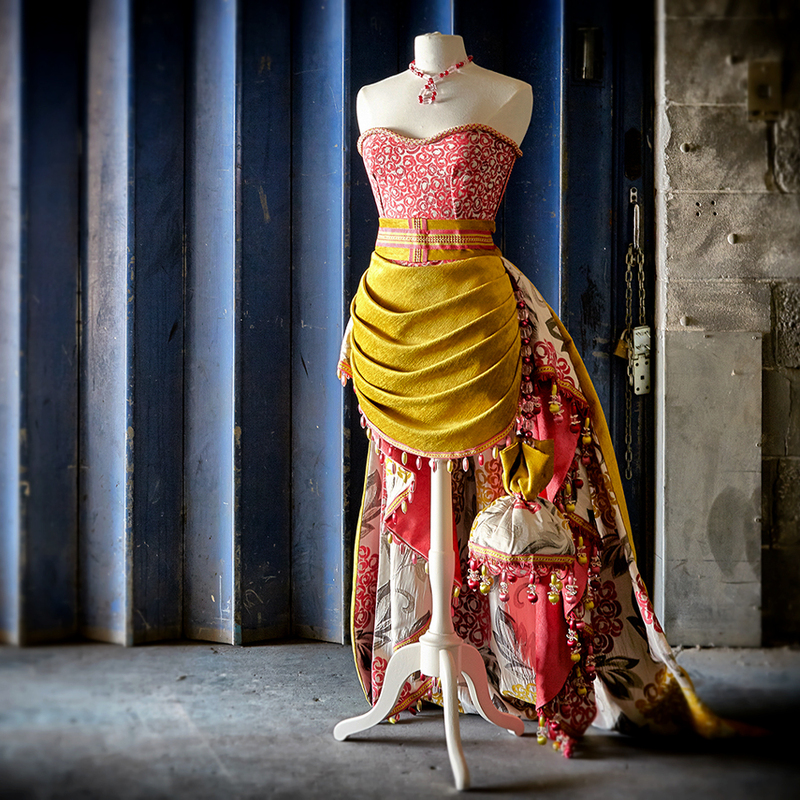 Jones Interiors have a new trimming and tieback range called Ensemble with a complimenting fabric range called Opulence. Pictured here see a beautiful close up picture of their Ensemble Tie Back range. Classy Curtains are very excited about being given access to a few of their very latest catalogue images, containing lots of new exciting products for the curtain industry that are being launching this year packed with inspirational, novel and innovative idea’s for curtains, swags, cushions and blinds. The curtains featured below are made with Cavendish Fabric and finished with a Henley Trim on a Strand Mix and Match pole. The Strand cord ball finials and Henley tie backs and trimmings are designed to colour match and can be used on any colour pole in the range. There are also some Tiffany Tie backs and Swarovski Crystal Buttons in the shot too which also have a complimentary Strand finial range to match called Sparkle Finials which are inserted with Swarovski trimming though the sparkle finials are not featured in the shot. 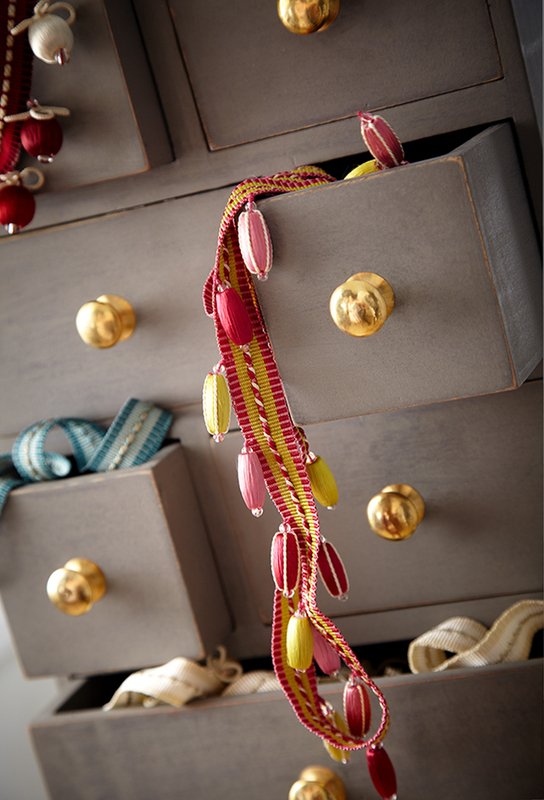 Pictured here see another beautiful picture of their Pimlico Tieback range. 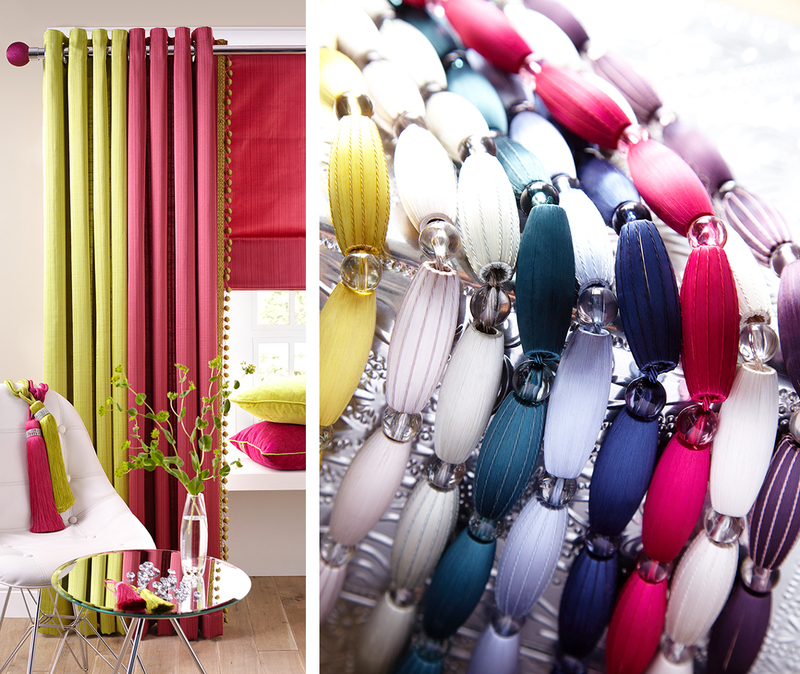 Thinking of new poles, some beads or embellishment to freshen up existing curtains please get in touch. A few beeds, crystal buttons or contrasting trim can change your window. If you see a product on Jones Interior web site and would like to buy by the metre, please call or contact us using the panel under : Contact and we will source you a price. 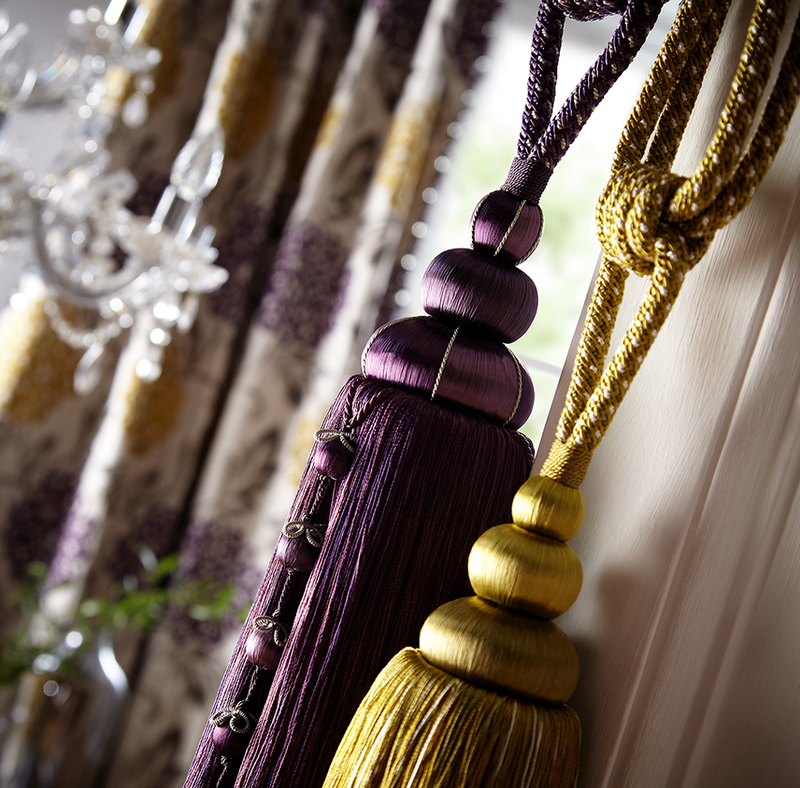 Jones Interiors are Trade Only suppliers, please order direct through your local Curtain maker, Classy Curtains Ltd.